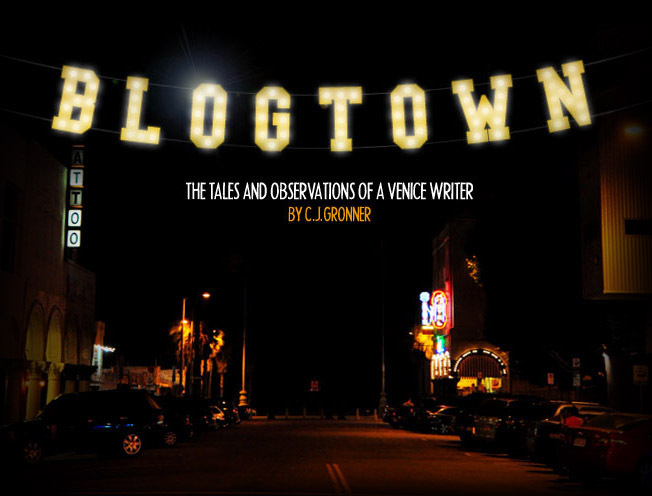 Well, the stories are backing up in Blogtown lately, because of a relocation of residence for this writer. A LOT of stories ... believe me, but for the moment I just have to trip you out with the news that Abbot Kinney Spirits or Lucky Stop, I think they answer to both - the only liquor store on Abbot Kinney, where the whole neighborhood goes for sundries, lotto tickets and booze - is closing on May 10th. The guy working whose name I can never remember, because he grunts it so fast if he answers you at all, but I'm slowly softening up, I can tell, told me the old school liquor store was closing and the landlord (yeah, more on landlords later) was going to have a flower store go in. ANOTHER floral shop on Abbot Kinney and no whiskey? One of the only OG places left on the block that ANYONE in town can afford a little something?! No way. He joked that we were all going to have to go to Ralph's now for party supplies/toilet paper and the couple + her brother that had already been Easter drinking in the daytime, were wide eyed and not pleased with the news that the one store nearby to get refills of whatever normal life stuff you need - generally not an emergency minimalist floral arrangement - was shutting down. And SOON. We were all bummed. The guy working kept a stiff upper lip, as usual. If you will be affected by this, or just have fond memories of finding out about each others' parties whilst inside getting the sauce, then get in there and voice your displeasure. Blahblah's "Coolest Street In The U.S." or not, Abbot Kinney is slowly losing the flavor that MADE it cool in the first place. Not SAID it was. *** UPDATE -Abbot Kinney Spirits has RE-OPENED - at a third of the size, but the same guys and roughly the same stuff. Phew. *Extra credit to the dude dressed up in a giant Easter chick yellow costume and nothing else but briefs, rollerblading down the middle of Abbot Kinney amid the Easter Sunday dressed strolling masses of people we didn't know. I wish I'd taken a picture, but I'm still smiling at the memory. The SPIRIT! That dude in the street in costume was headed to the annual Roosterfish Easter bonnet contest. He has done the rollerblades for the last couple of years at least and always puts a lot of thought and effort into his costume. Roosterfish on Easter afternoon is my favorite Venice holiday tradition. Never miss it!